Modeled by NFE Midnight Thor "Fell"
This is a continuation of the first herd behavior posepack below. You may need to use granthes' OMSP and/or the Tipsy OMSP for the poses in which the horse is lying down. All 11 poses are pose-listed, file is in .package format. 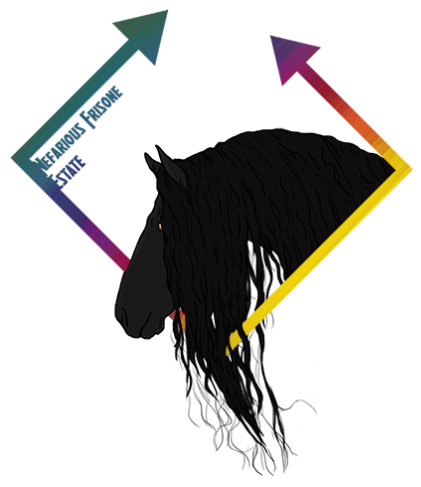 I'm one who prefers horses in a more natural environment than stables and arenas, as well as their instinctive behavior, so I set out to create a herd behavior posepack displaying what horses do in the wild without human interaction or interference. I was stumped to find that nobody had made poses unique to Friesians and their flashy nature, so I decided (finally) to take it on myself and I've created six poses for adult horses only (sorry). Modeling the poses are NFE The Devil Rides (Poses 1, 2, 4, 5 and 6) and NFE Midnight Thor (Pose 3). I could've edited manes and tails and feathering on all of these to make it look nicer, but I'm lazy and I'm not going to distract the viewer's eyes from what the poses actually are. Tails might not look the best, but we all edit those on before we show our ponies off anyway :) All six poses are packaged into one .package file and should be visible in your pose list with Cmo's pose player (no need to pose by name). Click image to download.